A fire broke out at Bishkek's Osh Bazaar, sweeping through 3,500 meters of the market before firefighters could put out the blaze. A firefighter walking through debris after a major blaze at Bishkek’s Osh Bazaar. Fire engines at the scene of a major blaze at Bishkek’s Osh Bazaar. A market trader covering his nose with his jacket after a blaze at Bishkek’s Osh Bazaar, where many of the destroyed goods were synthetic and poured out poisonous fumes. Soot-soiled mannequins piled up in a clothing store following a major blaze at Bishkek’s Osh Bazaar. Firefighters inspecting the scene after a major blaze at Bishkek’s Osh Bazaar. Market workers carrying away wares damaged in the blaze at Bishkek’s Osh Bazaar. 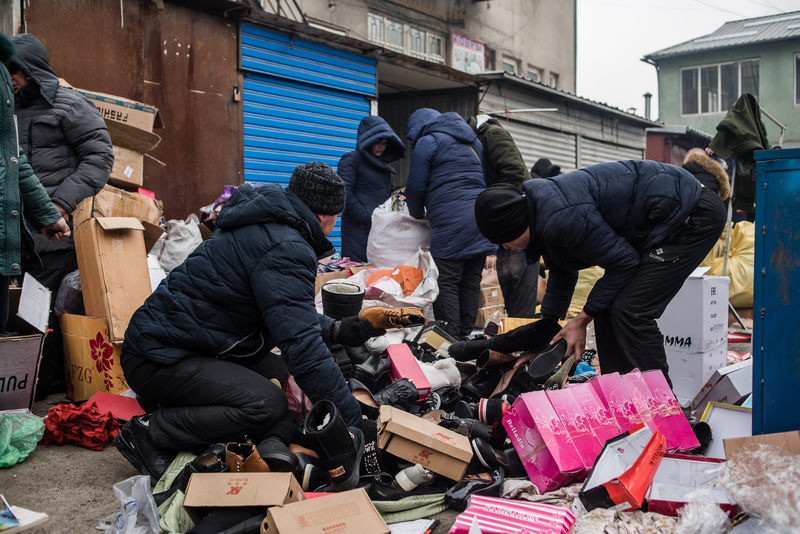 Market workers sorting through piles of shoes following a blaze at Bishkek’s Osh Bazaar. 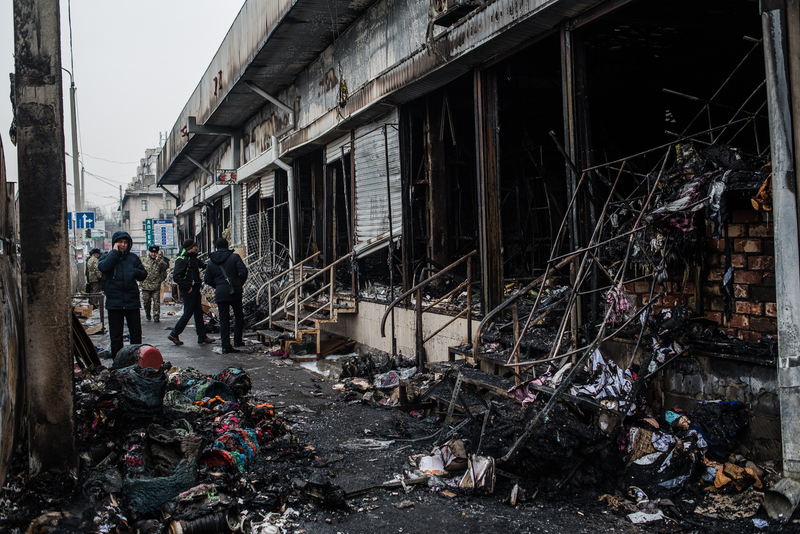 Clothing destroyed during a blaze at Bishkek’s Osh Bazaar lying uncollected by the side of the street. A blaze broke out on January 30 at a popular bazaar in Kyrgyzstan’s capital, destroying dozens of stalls and storerooms. The fire reportedly began around 8:30 a.m. local time. Management at the Osh Bazaar immediately began evacuating workers and customers, while the first firefighters arrived at the scene about an hour later. The cause of the fire is not yet known. Firefighters have said they suspect it may have been sparked by a short circuit. The flames spread over an area of around 3,500 square meters, equivalent to around half a football field. Emergency Services Minister Kubatbek Boronov announced at 6:30 p.m. that the fire had been put out completely. Although many shopping centers have opened in Bishkek over the past few years, bazaars remain the favored place in which to buy affordable clothes and homewares. The bulk of the goods on sale tend to be low-cost imports from China. Danil Usmanov is a Bishkek-based photographer.